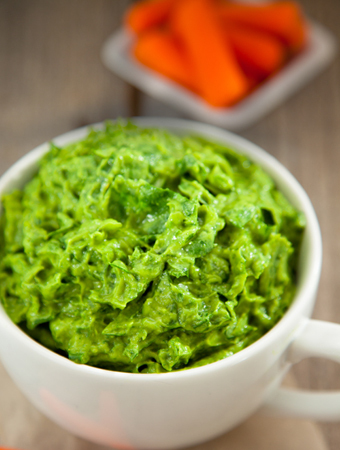 Scoop flesh from the avocados and place in a food processor with the spinach, garlic, and lemon juice. Pulse until well blended. Add salt to taste and enjoy!